The conference is the yearly get-together ofÂ the openSUSE community to give its people a chance to meet face to face, talk to and inspire each other. Having the chance to chat on the hallway, to quickly throw some ideas together on a whiteboard or to watch over each others shoulders while hacking can easily substitute endless chat sessions, thousand-mail threads on a mailing list and tiresome telephone calls. Being together in one room, even in this day and age, beats every other collaboration method and is what forges cohesion and friendships. That is why the openSUSE Project tries to get together this conference every year for its contributors. But not only for them, the conference is also for anyone using, working with or taking advantage of the project. No matter if you use our technology, if you are one of our many friends from free and open source upstream projects or if you contribute to another GNU/Linux distribution this conference is for you. Last year, the conference had the motto â€˜Collaboration Across Bordersâ€™ and brought together an international crowd from many communities. This year we shift our attention a bit deeper, aiming for hands-on discussions to get work done. Smaller, more focused meetings with a strong â€œread-writeâ€ attitude are at the core of the conference. Hence the subtitle of RWXÂ³, commonly known as the UNIX acronym for â€œRead, Write, Executeâ€ â€“ three times, for you, your community and the rest of the world! The highlights, like every year, are the keynotes that kick of each day. This year our community manager Jos, kernel hacker Greg KH and Michael Miller, marketing vice president of SUSE will give the honors. Of course the general program also has a lot of highlights in the distribution, community and technology tracks. Our distribution is, naturally, one of the topics which receives a lot of focus at our conference. Learn from Stefan Seyfried how to run the coolest bleeding edge stuff from the development tree while still retaining a reliable system that you can use for daily work. Let the Boosters teach you how to leave your own footprints in the distribution by becoming an contributor. Or get creative and work with other designers on the artwork for the desktops and applications 12.1 then and there. Also the “soft topics” in (Free-) software engineering will get their share of attention. Lydia Pintscher gives a workshop to discuss a number of topics that often cause social problems in technical communities and Henne Vogelsang introduces you to the basics of citizen journalism so you can improve your blogging skills. Or how about you help to shape the future of the Ambassador program in a workshop with Kostas Koudaras and Manu Gupta? Another cluster of topics will evolve around new technology that will bring FOSS and openSUSE forward. Robert Schweikert will give you an introduction to the basics of a cloud and an overview of the cloud projects in the Open Build Service. Brush up your debugging skills in a gdb workshop with JÃ¼rgen Weigert or tag along for the journey of an I/O request through the kernel block layer with Suresh Jayaraman. All work and no play makes Jack a dull boy. So how about you visit the legen, wait for it…., dary social event on Monday at “The Geek – Saloon and Dance Hall“, see some great musicians from the Fat Orange Collective live on the main stage or how about you let Winfried Appelt show you highlights of his collection of over 800 ancient calculating machines? And let’s trow in a teaser. There will be a contest related to openSUSE and yet Unidentified Flying Objects, with those UFO’s as prize!!! After two years at the BerufsfÃ¶rderungswerk in the outskirts of NÃ¼rnberg, we have found a new location smack in the middle of the city. 10 minutes away from the center of NÃ¼rnberg, in a former production area of the Allgemeine ElektricitÃ¤ts-Gesellschaft (AEG), the conference will be hosted by the Zentrifuge. 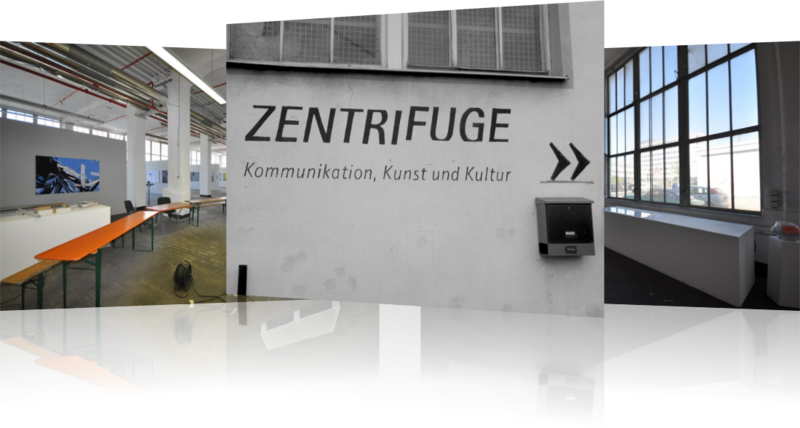 The Zentrifuge is a project that networks cultural interested and creative people in the region. The whole location has a special atmosphere of an old industrial plant, mixed with art and creativity. The perfect balance between work and play which we always aim for at the conference. NÃ¼rnberg with a population of 500,000 is the nucleus of the metropolitan region Franconia at the heart of Europe. Located in southern Germany, it is midway between Munich and Frankfurt and therefor easily reachable by road, rail and air. As a tourist city, known for the Nuremberg Trials and famous for the Christmas Market, NÃ¼rnberg has a very good tourist office which will help you with all your needs. The office also provides an accommodation portal on the web which should be your starting point to find a place to stay. Just register today in our conference tool and swing by the venue at the 11th. And once youâ€™ve signed up spread the word about it and tell all your friends! Weâ€™ve prepared some artwork for you to do that. We hope that you are intrigued by the community, program and the location. Come and visit us, we are looking forward to see all of you in September! It would help a lot, if there would be an actual program. Would make it much more easy to plan. Yeah, tell me about it :-/ But it’s only a matter of hours now. Keep the faith! come with me to the OSC! i want old kde back!